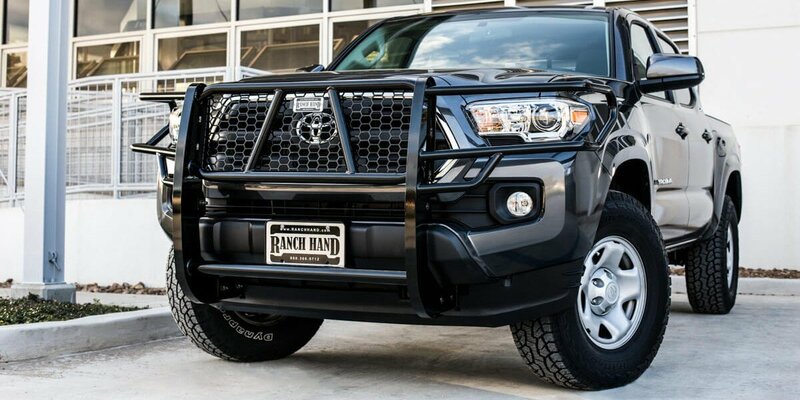 Ranch Hand Truck Accessories is a booming manufacturing facility deep in the heart of Texas, and this family owned and operated business has been doing business the “Texas way” since 1898. 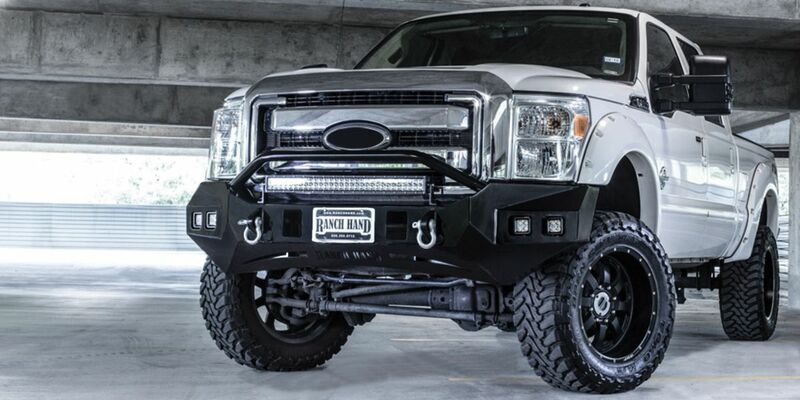 The Ranch Hand logo has been recognized in the truck accessory industry since 1986 as the symbol of quality. 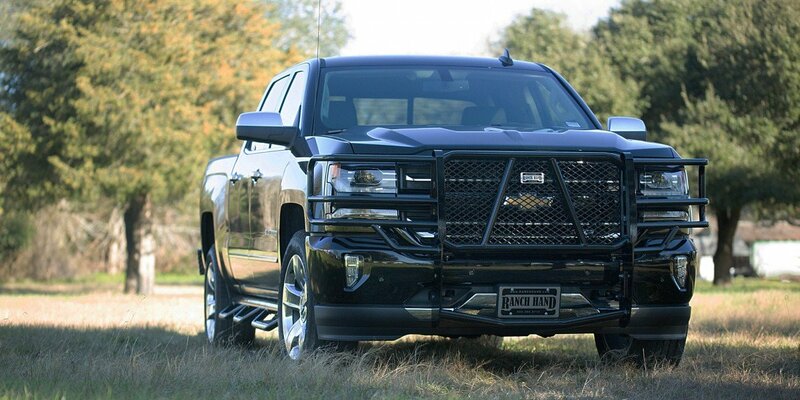 Ranch Hand manufactures heavy duty, high quality Grille Guards, Front End Replacements (Legend Series, Summit Series, Horizon Series, Bullnose, and Winch Ready), Back Bumpers, Headache Rack Systems, Bed Rails, Steps, and Toolboxes for Chevy, Ford, GMC, Jeep, Ram, and Toyota trucks and SUVs. 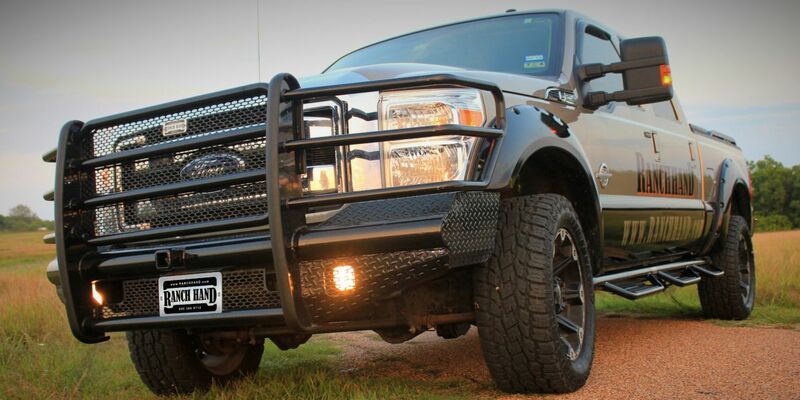 At Ranch Hand, we know the importance of a quality product and a happy and safe customer. So whether you are taking your kids to Little League, planning a cross country roadtrip, hauling your horse trailer to the next rodeo, or just running to town for groceries, Be on the Safe Side and choose Ranch Hand.